If you were eyeing up a Withings Steel HR Sport during Black Friday and Cyber Monday and didn't hit that buy button, Amazon has got a pretty good deal on the hybrid smartwatch right now. As part of its 12 Days of Deals, the smartwatch is currently $40 off dropping the price to $159.96. 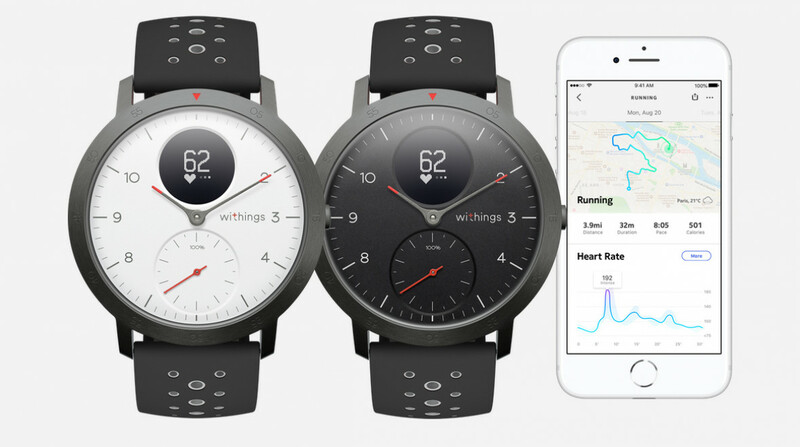 That's down from the $199.95 it usually costs to buy from Amazon or directly from the Withings website. That deal is available in both black and white models of the watch too with both offering the same hardware and software features. That means you get a watch that looks a lot like the Steel HR that notably adds features like VO2 Max testing and the ability to piggyback of your phone's GPS to map running and cycling routes. You still get that 40mm size watch body with sub-dials including a digital one so you can view your fitness tracking, sports tracking and smartphone notification data. It's also waterproof up to 50 metres and promises up to 25 days of battery life. The Steel HR Sport was the first watch launched after Withings co-founder Eric Carreel bought back the company he sold to Nokia back in 2016. It scored a solid 4 out of 5 stars in our review and rightfully earned a nomination spot in our best smartwatch category in this year's Wareable Tech Awards. It's one of the best hybrids you can strap onto your wrist right now and if you don't want to go all in on a full fat smartwatch like an Apple Watch or Samsung Galaxy Watch, it's one well worth considering. Especially at this price.